MaximumScore. Highest score of all items (SCOs) in the course. AverageScore. Average score of all items (SCOs) in the course. FirstScore. The first score achieved by the user across all items (SCOs) in the course. Note: If this option is selected, ScormScoreUpdateOption should be set to “Never” and the user’s score will always remain the first score they achieved. MostRecentScore. The most recent score achieved by the user across all items (SCOs) in the course. 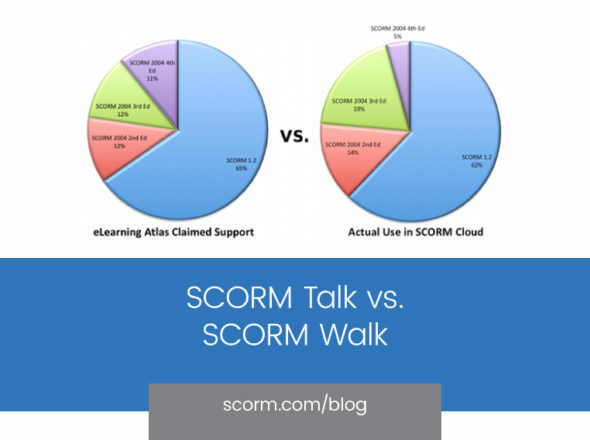 Well, clearly we’re talking about an LMS that is really SCORM 1.2 centric. 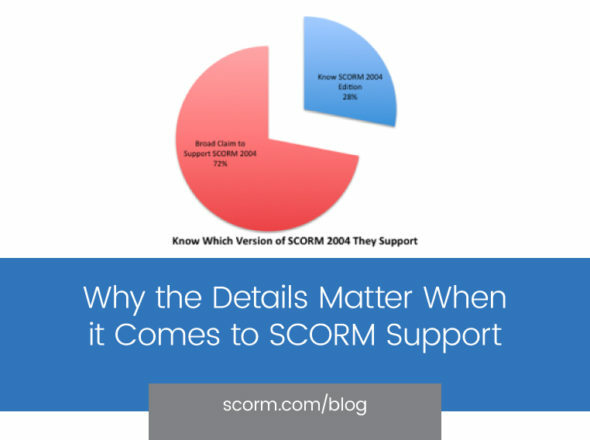 This ability to manage scores across attempts and SCOs is one of the things that SCORM 2004 actually does very well. Rollup rules allow the content author to specify these behaviors in great detail, including weighting the various elements and even excluding some. This provides the author with useful tools such as pre-assessment that doesn’t impact overall satisfaction. There simply is not a good answer to this question. If these settings are global, as they appear to be, I can’t be forced to pick one in particular as it wouldn’t serve other situations adequately. The most common multi-SCO package structure, to my mind, is a course with several SCOs and a single post test (assuming we’re dealing with more than one score). I’m not sure that any of these options serve that package structure well at all. An LMS simply can’t afford to make singular decisions about how to deal with content. It absolutely has to provide configurability on a package by package basis. Failing to acknowledge that the world of content is widely varied will lead to content that doesn’t work as desired. This, frankly, is why building an LMS with SCORM conformance is so difficult to get right. Take a look at how we’ve approached the particular problem of rolling up scores in SCORM 1.2. We have options that aren’t unlike those offered in the question above. The differences are relevant, but only to a degree. Fundamentally important, though, is that you can set these properties for each package. I hope this provides a bit of illustration as the level of detail required to really nail the SCORM problem. We suffer this minutiae so our customers don’t have to.